The best way to deal with a weed issue to keep it from happening in the first place. There are two main ways of doing this. · Don’t Give Weeds a Place to Grow. Weeds tend to be opportunists, meaning that they will take root where there is space and enough sunlight for them to thrive. In some cases, weeds appear as a result of an issue with the soil; ivy and moss, for instance, will appear where the ground stays damp and lacks drainage. To keep weeds from popping up, focus on maintaining optimal conditions for grass, and filling in bare patches that could be enticing to weeds. When your yard is filled with healthy, strong grass, there is simply nowhere for weeds to go. · Kill Weeds Before They Start. In addition to keeping your grass healthy, applying pre-emergent weed killers can stop weeds before they even start. Pre-emergent herbicides are often mixed with fertilizers designed for application early in the season, helping your grass grow while preventing weed seeds from even germinating. Since taking care of your grass and keeping it healthy is the best approach to preventing weeds, it’s important to know what that looks like. All too often, homeowners overcomplicate their lawn care, doing more damage than good. To help keep your grass in good shape, do the following. your lawn has reached that level. Different areas of your lawn may need more water than others, so watch which areas seem to dry out first. nutrients for the season. 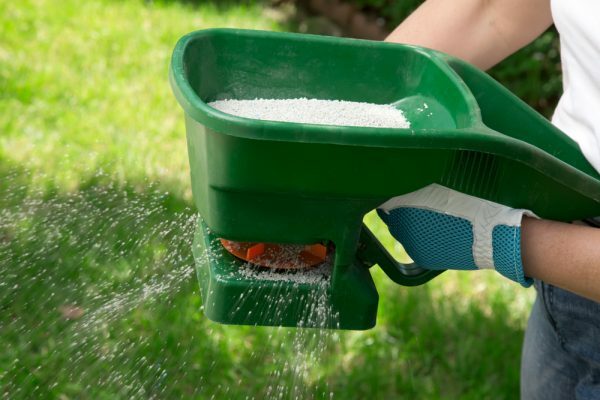 The right amount of fertilizer encourages deep root growth and helps prevent sparse areas that allow weeds to take hold. Too much fertilizer can feed weeds, so be sure to follow the feeding recommendations for your area and type of grass. be cut between two and four inches, depending on the type of grass you have. This could mean that you skip a week or go longer between mowing, and that’s okay. Also, be sure to keep your lawn mower blades sharp (some people even coat the blades with cooking spray) to ensure they make clean cuts and don’t tear or crush the blades of grass. When grass isn’t cut cleanly, it becomes more susceptible to disease and doesn’t grow strong, creating a hospitable environment for weeds. 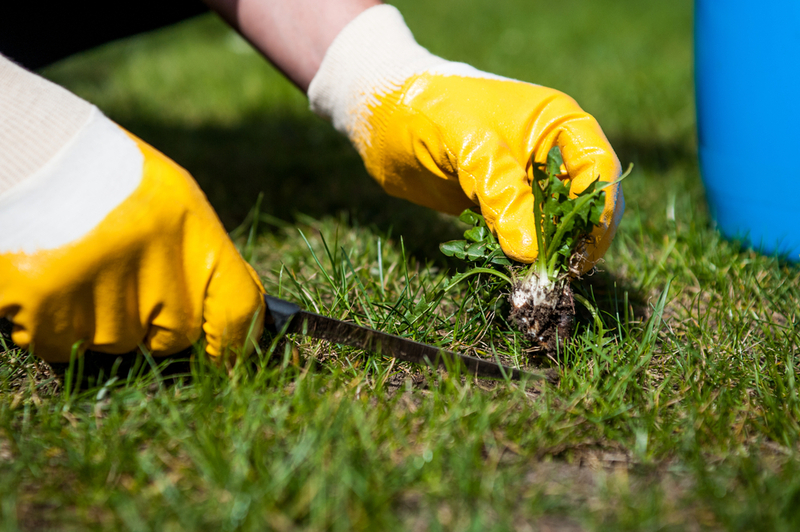 Keeping weeds from overtaking your lawn isn’t difficult, but it doesn’t require some diligence. If nothing else works, post-emergent herbicides can address the issue, but with the right care and preventive actions, you can avoid having to take drastic measures and still have a gorgeous lawn.